The commute time in San Diego just seems to be getting longer and longer each day. 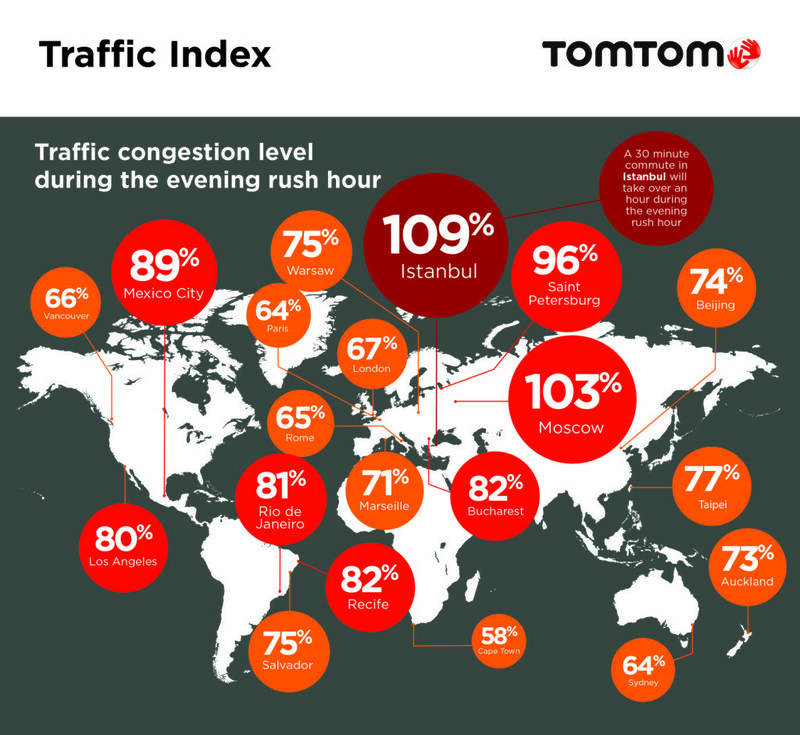 And now a report released Tuesday by the GPS manufacturer TomTom confirms it — traffic in San Diego is getting worse. In the fifth annual Traffic Index report released Tuesday, San Diego is the 17th most congested city in the United States. According to the study, San Diego had an overall congestion level of 24 percent in 2014. The average congestion level in the 10 worst cities in the country was 30 percent. During the evening rush hour, San Diego’s congestion level jumps to 53 percent. By comparison, Los Angeles, which has the worse traffic in the the nation, the congestion during the evening rush was 80 percent. According to the study, a drive that normally takes 30 minutes in San Diego will take 49 minutes during the evening rush hour, meaning motorists waste an extra 75 hours a year sitting in traffic. The comparable trip in LA will take 54 minutes or an additional 92 hours in traffic. San Jose had the second-worst rush-hour congestion in the country, at 75 percent, followed by Seattle with 74 percent. Among cities worldwide, San Diego is 95th while Los Angeles is ranked 10th worst. Istanbul ranked worst, followed by Mexico City, Rio de Janeiro and Moscow.